Tinker with a real neural network right here in your browser. Um, What Is a Neural Network? It’s a technique for building a computer program that learns from data. It is based very loosely on how we think the human brain works. First, a collection of software “neurons” are created and connected together, allowing them to send messages to each other. Next, the network is asked to solve a problem, which it attempts to do over and over, each time strengthening the connections that lead to success and diminishing those that lead to failure. 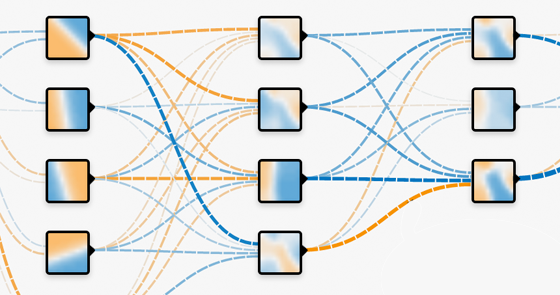 For a more detailed introduction to neural networks, Michael Nielsen’s Neural Networks and Deep Learning is a good place to start. For more a more technical overview, try Deep Learning by Ian Goodfellow, Yoshua Bengio, and Aaron Courville.